Hitting the road on your bike? You don’t have to miss out on the pleasure of top-quality mobile electronics just because you’re on two wheels instead of four. With help from the team at Capital Customs, motorcycle enthusiasts like you can ride along to the beat of your best-loved artists. From high-performance motorcycle speakers and amplifiers to all-in-one audio boxes and compact holders and mounts, we’ve got it all. Simply tell us what kind of sound and equipment you’re looking for in motorcycle audio, and we’ll make bring your wildest dreams to life—right here in our Albany shop! You bought the bike that suits you. You listen to the music that suits you. It just makes sense to put them together and have the motorcycle sound system that best compliments your style. Whether you’re interested in a dial screen, an all-touch motorcycle stereo, or satellite radio, you can count on Capital Customs for excellent looks, ease-of-use, and the durability to keep your favorite tunes pumping mile after mile. If it’s motorcycle audio you’re after, you can count on our certified pros to set you up with a system that will get you singing along. Our team is always striving to keep up-to-date on the latest industry innovations to ensure that we are always able to offer our customers the most advanced motorcycle audio system technology available. If you can imagine it, our team will use our in-depth industry knowledge to make your vision a reality. For the latest advancements in brand-name motorcycle speakers and motorcycle stereo components, we’re the team to trust! Capital Customs is your source for top-notch aftermarket motorcycle accessories, including motorcycle speakers, motorcycle lighting, and more. We work with the most trusted brands to ensure long-lasting results. We’ll even offer our professional advice on motorcycle parts and accessories so you can be fully informed before you commit to a product. Motorcycle customization is our passion, so if you’re been wondering what your bike would look like with new motorcycle accessories, give us a call today! 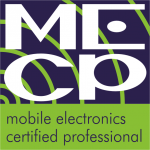 Our veteran mobile electronics installers are fully licensed, bonded, and insured. We have the know-how to work on the entire range of motorcycle audio system components, including fiberglass pieces and custom enclosures. We will go the extra mile to help your bike meet your needs and exceed your expectations. Plus, with our lifetime warranty on labor, our workmanship is certain to please. Don’t spend your rides wondering what your bike would look like with aftermarket motorcycle lighting, or what it would sound like with a motorcycle stereo system. The team at Capital Customs is here to elevate your bike to the next level. Call or visit us today to learn more!